Our luxurious lace frontals are made with care. 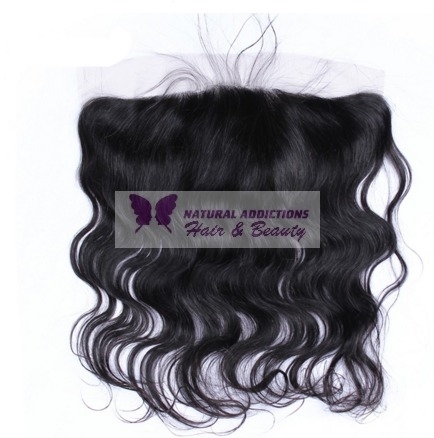 Each lace frontal is 13"x4" inches and has a soft, natural looking hairline. When installed correctly, lace frontals protect your hairline from ear to ear. Our lace frontals are perfect for the individual that wants to achieve a natural look without leaving any of their natural hair out. Each frontal is created to be undetectable and make our 100% virgin hair extensions appear as they are coming from your own scalp.